“‘A script to arrive and totally captivate you on a first read is rare so this was quite extraordinary to receive,” says producer James Bierman. 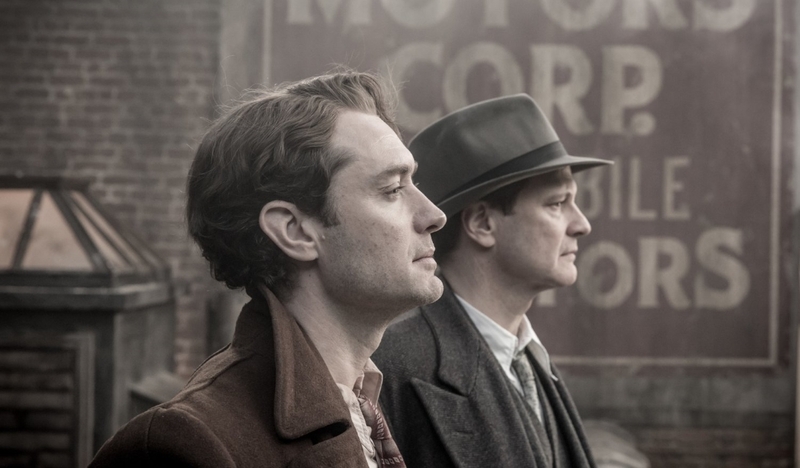 Genius is the culmination of John Logan’s 20-year journey to bring the story of Maxwell Perkins to the screen. 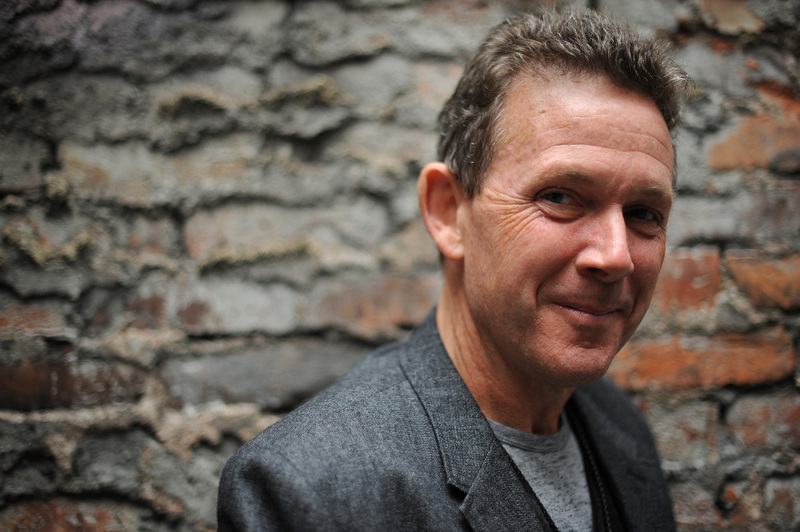 John Logan (Writer/Producer) received the Tony, Drama Desk, Outer Critic Circle and Drama League awards for his play Red, directed by Michael Grandage. This play premiered at the Donmar Warehouse in London and at the Golden Theatre on Broadway. Since then Red has had more than 300 productions across the US and has been presented in over 30 countries. He is also the author of more than a dozen other plays including Never the Sinner and Hauptmann. In 2013, his play Peter and Alice premiered in London and I’ll Eat You Last: A Chat With Sue Mengers opened on Broadway. He co-wrote the book for the musical The Last Ship, composed by Sting and directed by Joe Mantello, which debuted on Broadway in 2014. As a screenwriter, Logan has been three times nominated for an Oscar and has received Golden Globe, BAFTA and WGA Awards. In addition to Genius, Logan’s screenwriting credits include: Hugo, The Aviator, Gladiator, Rango, Coriolanus, Sweeney Todd, The Last Samurai, Any Given Sunday and RKO 281. With Neal Purvis and Robert Wade, Logan wrote Spectre, the new James Bond adventure directed by Sam Mendes. He is currently in production for Penny Dreadful, a drama series he created for Showtime. From Academy Award-nominated screenwriter John Logan (Gladiator, The Aviator, Hugo, Skyfall) and acclaimed, Tony Award-winning director Michael Grandage (former artistic director of the Donmar Warehouse) in his feature film debut, comes Genius, a stirring drama about the complex friendship and transformative professional relationship between the world-renowned book editor Maxwell Perkins (who discovered F. Scott Fitzgerald and Ernest Hemingway) and the larger-than-life literary giant Thomas Wolfe. Finding fame and critical success at a young age, Wolfe is a blazing talent with a larger-than-life personality to match. 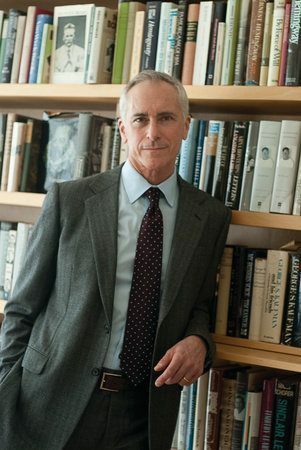 Perkins is one of the most respected and well-known literary editors of all time, discovering such iconic novelists as F. Scott Fitzgerald and Ernest Hemingway. Wolfe and Perkins develop a tender, complex friendship. Transformative and irrepressible, this friendship will change the lives of these brilliant, but very different men forever. Based on the biography “Max Perkins: Editor of Genius by A. Scott Berg, the film stars Colin Firth (The King’s Speech) as Max Perkins, alongside Jude Law (Anna Karenina, The Grand Budapest Hotel) as Thomas Wolfe, with Guy Pearce (The Rover, Lawless) as F. Scott Fitzgerald, and Dominic West (Testament of Youth, Pride), as Ernest Hemingway. A. Scott Berg (Biographer/Producer) graduated in 1971 from Princeton University, where he received the English department’s thesis prize for his work on the legendary book editor Maxwell E. Perkins. He spent the next seven years expanding his thesis into Max Perkins: Editor of Genius, which became a national bestseller and won the National Book Award. The book also drew the attention of Samuel Goldwyn, Jr., who offered Berg complete access to his father’s archives. With the assistance of a Guggenheim Fellowship, Berg spent the next nine years writing Goldwyn: A Biography. It became an international bestseller; and Billy Wilder called it “the best book about Hollywood” he had ever read. In 1990, Anne Morrow Lindbergh granted Berg exclusive and unrestricted access to her archives and those of her late husband, Charles Lindbergh. Eight years later, he published Lindbergh, which also became an international bestseller and which received the Pulitzer Prize for Biography. Paramount Television is developing it as a mini-series. For 20 years, Berg had been a friend and confidant of Katharine Hepburn; and upon her death in 2003, he published a biographical memoir, Kate Remembered, which became the No. 1 New York Times bestseller for most of that summer. His most recent book, Wilson, a biography of the 28th President, became an immediate bestseller and is currently being developed as a motion picture by Leonardo DiCaprio’s Appian Way Productions. Berg has written and co-produced two documentary films – Directed by William Wyler and Goldwyn: The Man and His Movies; and he wrote the story for the 1982 drama Making Love. He has served on the board of the Library of America and is currently on the board of the Smithsonian Institution’s National Museum of American History. He is also a Charter Trustee of Princeton University. Scott Berg’s interest in the true story behind one of American literature’s most defining periods began in the mid 60s, when he was in his teens. “My passion for the work of F. Scott Fitzgerald became so intense that I went to college at Princeton because Fitzgerald had gone there,” he remembers. Encouraged by his English professor, Carlos Baker, who had been Ernest Hemingway’s biographer of choice and had written a well-regarded text on the author, Berg set about turning Max Perkins’ story into his senior thesis. After graduating, the English department at Princeton gave Berg three pages of notes on how he could expand his thesis into a biography, and he spent the next seven years doing just that. Over the 15 years that followed, Logan stayed true to his promise to Berg, and spent countless hours reading Perkins’ letters, as well as any other background material he could get his hands on. Michael Grandage (Director/Producer) is a director and producer at the Michael Grandage Company in London, a theatre, film and television company found in 2011 with long time collaborator and producer James Bierman. One of the most respected and awarded names in theatre both in the UK and on Broadway, Genius marks Grandage’s feature film directorial debut. Grandage most recently celebrated a 15-month residency at the Noel Coward Theatre, in London’s West End directing five hugely successful productions. 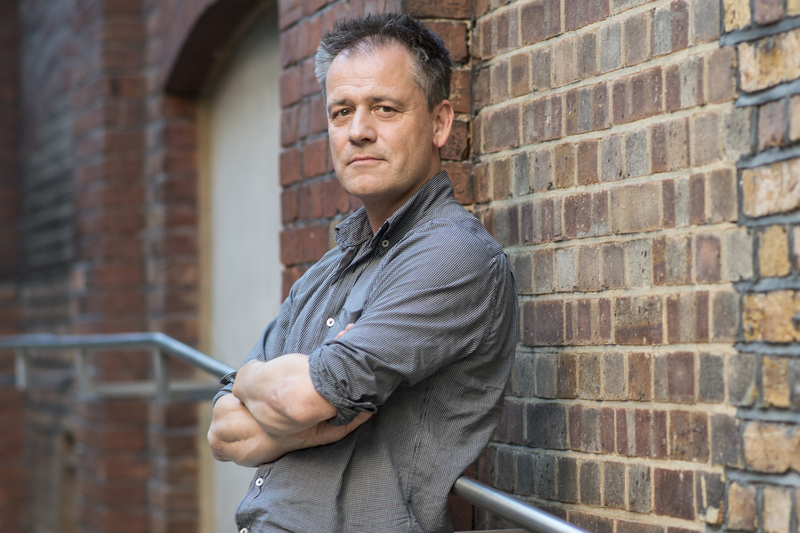 Prior to forming his own company, Grandage was artist director of the Donmar Warehouse (2002-2012) and artistic director of Sheffield Theatres (2000-05). He is the recipient of Tony, Drama Desk, Olivier, Evening Standard, Critics’ Circle and South Bank Awards. He has been awarded Honorary Doctorates by both Sheffield University and Sheffield Hallam University; an Honorary Degree from the University of London; and is President of Central School of Speech and Drama. He was appointed CBE in the Queen’s Birthday Honours 2011. His book A Decade At The Donmar, was published by Constable & Robins in 2012. He has also directed many operas including Billy Budd and Marriage of Figaro for Glyndebourne and Don Giovanni for the Met. Grandage’s name will be familiar to anyone with a passion for theatre. One of British theatre’s most respected names, Grandage had taken over from Sam Mendes as the Artistic Director of the Donmar Warehouse, leaving in 2012 to start the Michael Grandage Company with producer James Bierman. At the Donmar in 2009, Grandage had directed Logan’s play Red, in a highly acclaimed production that starred Alfred Molina and Eddie Redmayne. And as one of the first productions of the Michael Grandage Company, the pair had collaborated on Logan’s play Peter & Alice, which starred Judi Dench and Ben Whishaw. 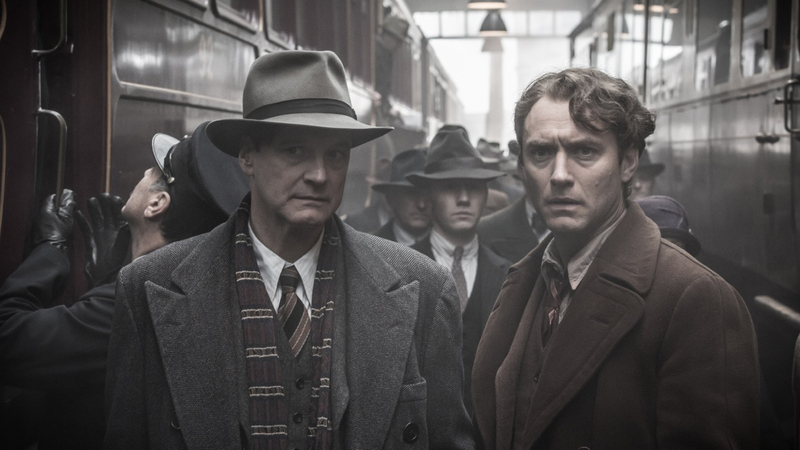 After becoming friends and collaborators, Logan shared the screenplay for Genius with Grandage. As if in answer to the objections of that studio executive 35 years ago, Logan included in the screenplay a crucial montage sequence in which Perkins literally does edit Wolfe’s manuscript, and it’s anything but dull and ordinary. Wolfe asks Perkins if he doesn’t like it. “You know I do,” says Perkins. “That’s not the point.” So begins a dance between the two men, as the paragraph is whittled down to its finished form: “Eugene saw a woman. Her eyes were blue. So quickly did he fall for her that no one in the room even heard the sound.” At last, Wolfe is elated. Sam Mendes had offered Grandage a piece of advice, which was that directing a film is a full-time commitment that would be hard to balance with running one of London’s premier theatre destinations. Mendes had recently made his first film, the Oscar-winning American Beauty, and it had given production companies an incentive to seek out the man who had followed Mendes in his job running the Donmar. “Film people came to meet me and I knew they didn’t know my name, but one of their PAs had said, ‘This is the guy that followed Sam Mendes,’” Grandage jokes.